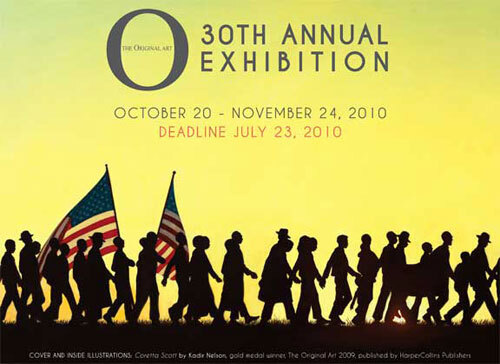 Abstract : "The Society of Illustrators invites all artists and publishers in the children's book field to submit to the 30th Annual Exhibition of The Original Art. The show was founded by Dilys Evans in 1980 to celebrate the fine art of children's book illustration. It has been sponsored by the Society of Illustrators for the past twenty years. The selection process will be by a jury of outstanding illustrators, art director, editors, and experts in the field of children's book publishing. They will choose the books that will be represented in the show and select gold and silver medal recipients. Jurying is anonymous and there is a limit to the number of books any one artist may have accepted".